First, lets begin with the main parts that will be needed to build on your LTE controlled Quadcopter. One of the issue with LTE modem (dongle) is that it will be assigned private IP and will use Network Address Translation (NAT) to communicate to external world. NAT is the process where firewall assigns a public address to a network device inside private network. NAT save on the IP addresses as every network device (LTE dongle in our case) does not need a public address, and also it would hide these private devices from the outside world. For our quadcopter LTE dongle, it means that we wont be able to use the IP which is assigned to it in order to establish any IP communication to it. To overcome this problem we have to use our home Wifi router's port forwarding feature (application of NAT). Since our router's public IP is known to us ,therefore forwarding packet to our home PC coming from LTE quadcopter will not be an issue. 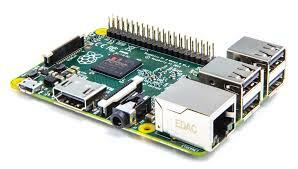 - Using Python's socket module function, Raspberry Pi (with LTE modem connected) will open a TCP connection to a port 50050 and IP 173.75.180.60. - Once a socket is open, you can read from it like any IO object. Currently I am having trouble transmitting video from Quadcopter to Home Computer. I used netcat utility to do the streaming but it makes RPi reset every time. I believe I need to provide separate power bank. I will give update on it once successful, hopefully soon. Awesome project! I have one question, what data plan do you use for the dongle? Thanks! Don't like it. The modem should be connected directly to CC3D to save weight. CC3D has UART port. CC3D should have modem dialing software. The modem's casing and USB port should be removed to save another 20 grams. Solder USB leads directly to CC3D. I publicly recommend this on google plus even though this is a last resort solution. It is very interesting to read your article. Keep sharing this kind of noteworthy information.